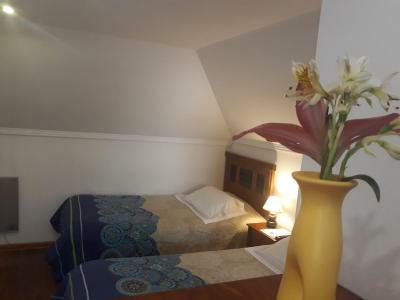 Lock in a great price for Nubes Hotel – rated 8.1 by recent guests! The location was excellent! 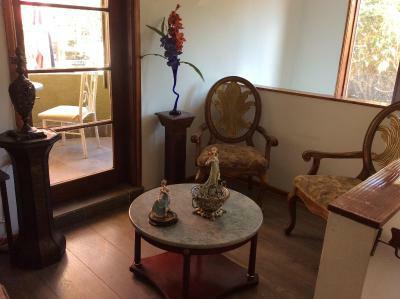 It is located in a safe, quiet, and upscale neighborhood. It is a 5-minute walk to the beach where we celebrated the New Year. Breakfast was excellent. Room was very clean. The staff was very helpful. They were able to communicate in English. One even lent me his MetroVal card for our day trip to Valparaíso. Quietness of the whole place was valuable. 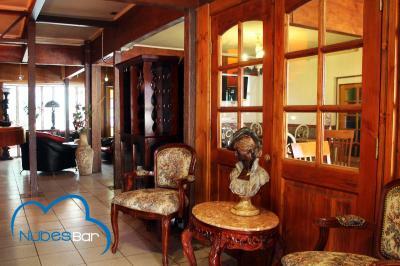 Interior decoration made you feel the vibes of a XVIII century place, but having technology. Location was perfect, closed to the beach and restaurants and park for the children. 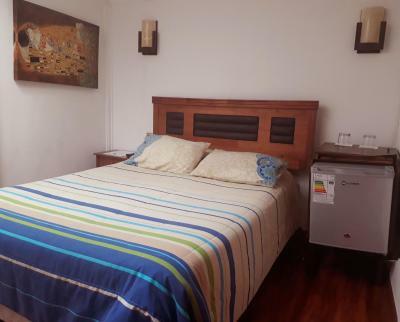 Excellent location, only two minutes walk from the beach. 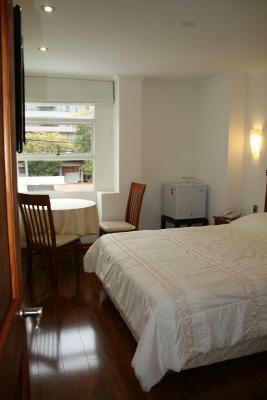 Also very close to restaurants, supermarkets and banks. A short walk from one of the main avenues in town that connects all the Valparaiso bay area by bus. 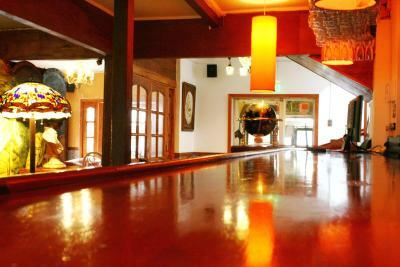 Generally an old-fashioned place with nice decoration and lots of character. 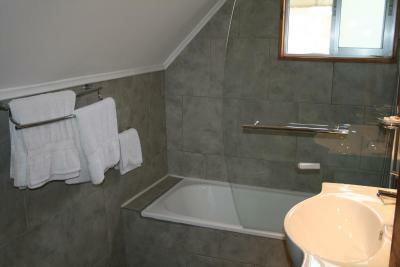 Bed super comfortable, nice, powerful shower with lots of hot water. Breakfast is simple but very satisfying: fruits, yoghurt, toast, eggs and coffea or tea. Friendly and helpful staff, the owner himself is always around and available to help with anything. Staff were fantastic, super helpful, resolving issues, answering questions, providing tourist information, linking us up with guides. Providing an early breakfast for us was no problem. 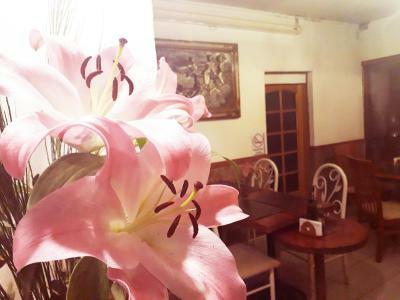 Also a lovely location near the sea and many places to eat out. 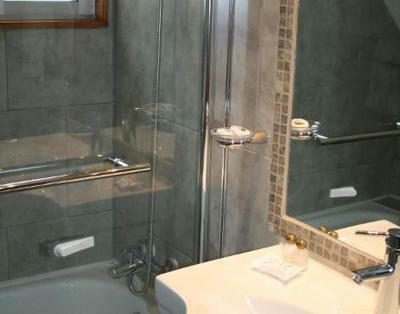 Good cleaning service and plenty of towels when we asked for more. It was in a convenient and safe location. I enjoyed the breakfast. 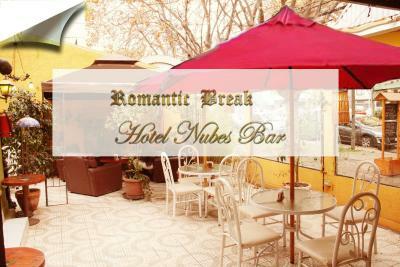 One of our top picks in Viña del Mar.Nubes Hotel provides an outdoor pool and free WiFi in Viña del Mar. Acapulco Beach is just 1,000 feet away. 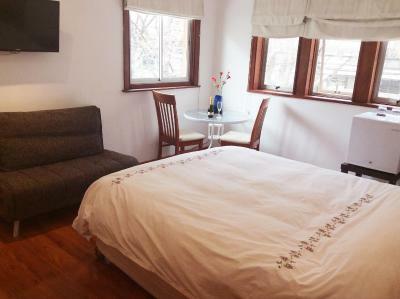 The guest rooms here are smart, with light-wood bedsteads and wooden floors. 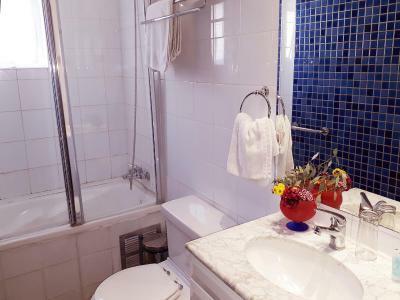 Each provides you with a private bathroom with a hairdryer and free toiletries, cable TV, a mini-bar and safety deposit box. 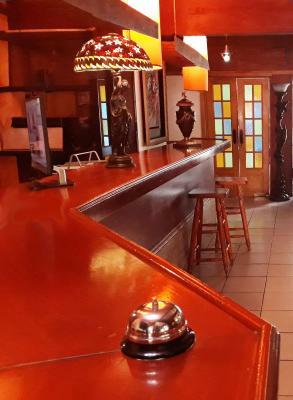 At Nubes Hotel you will be able to count on 24-hour front desk assistance. Breakfast is included. 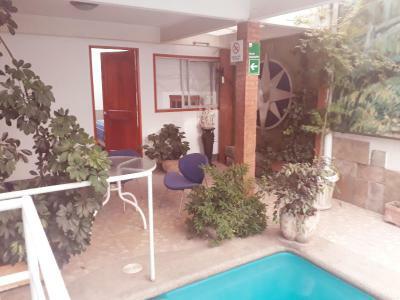 The property lies 0.9 mi from Marina Arauco shopping center. Viña del Mar is 3.1 mi away. 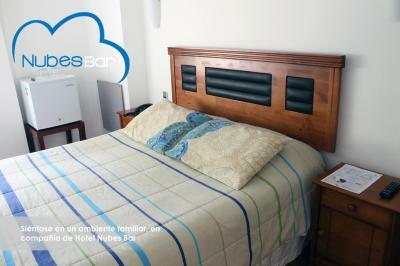 When would you like to stay at Nubes Hotel? 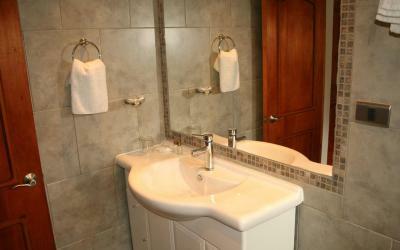 This room features a private bathroom with a hairdryer and free toiletries, cable TV, a mini-bar and safety deposit box. 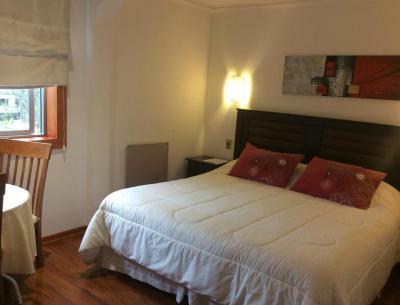 This larger double room features a private bathroom with a hairdryer and free toiletries, cable TV, a mini-bar and safety deposit box. 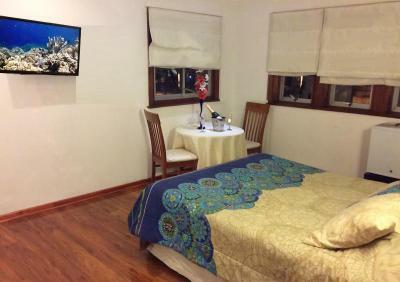 This triple room features a private bathroom with a hairdryer and free toiletries, cable TV, a mini-bar and safety deposit box. House Rules Nubes Hotel takes special requests – add in the next step! Nubes Hotel accepts these cards and reserves the right to temporarily hold an amount prior to arrival. To be exempt from this 19% additional fee (IVA) the payment must be made in US dollars and a copy of the immigration card and passport must be presented. The passenger won’t be exempt from this fee when paying in local currency. Breakfast was served rather late (8h30 am weekdays and 9h30 am on weekends and holidays). There is a restaurant next door that can get noisy until late, some rooms are literally inches away from the deck were patrons sit so you may have trouble sleeping or be awaken by laughter and music. The staff are very nice but do not rely too much on them for tourist information though - they can be a bit out of touch, e.g. they did not know that there is a direct bus from Viña del Mar to the Santiago airport three times a day. The room was NOT as advertised and the description should be changed. We were supposed to have a "city view", whereas the tiny window behind the door looked out onto the inner part of the hotel and was not visible from most of the room which was dark. 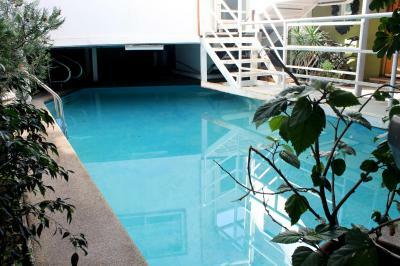 The pool is advertised as being both indoor and outdoor, and is NOT heated so beware if you expect to be able to use it outside summer months. Our room was meant to have a "seating area" but barely had enough space to stand let alone sit, although 1 desk chair was provided for the twin room (which is described as a triple). 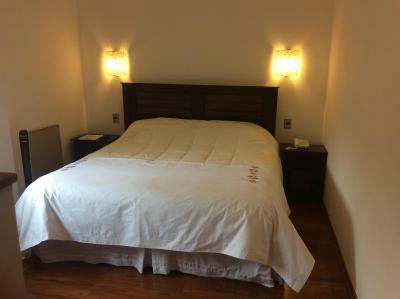 It was not just a confusion about the room because we asked and there is not a room like the one described in the whole hotel! 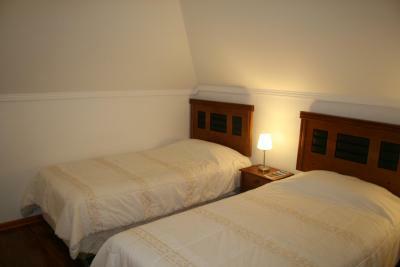 The hotel itself is great but the price we paid reflected the description on booking and the room did not. 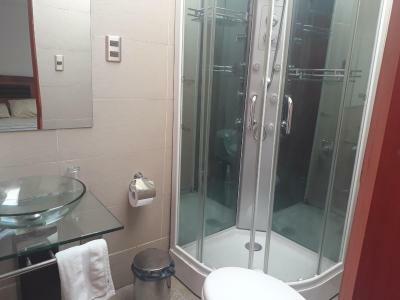 The bed and restroom were very good. I missed the swimming pool to be sunniest. The WIFI was very slow in my room.